There are lots of cannabis questions - turn to experts for the answers. Photo courtesy: trialblazin.net and Patbeggan.com. What is medical cannabis? Where do I buy it? Which products do I want for my conditions? I’ve heard that cannabis can help, but I don’t know where to start. What do I do? These are the kinds of questions I get all the time. And unfortunately, I don’t have answers for you that you’re going to like, but hopefully by the end of this article you’ll have a little bit better understanding of medical cannabis in Washington, how we got here and resources to help you with your research. 1998: Voters in Washington State approved I692, allowing for medical cannabis for certain conditions. Voters also allowed affirmative defense, which basically means that patients and their caregivers could use their conditions in court to defend themselves if they were caught with cannabis. 2009: The Ogden memo from Obama’s administration states that the Feds would leave patients alone if they were abiding by their states’ medical cannabis laws. 2011: The Washington legislature passes SB5073, that allows cannabis dispensaries for medical patients, but much of it is vetoed by Gov. Christine Gregoire. This led to the “grey” medical market often talked about in Washington. Washington citizens, along with government officials, picked the remainder of the law apart to figure out how to move forward with legal cannabis businesses, regardless of the line item veto. 2012: Voters pass I502, permitting legal adult use cannabis. Washington, along with Colorado, is the first in the nation to do this. 2014: Adult use cannabis stores open up in a highly taxed, highly regulated environment and find themselves competing with the untaxed, unregulated “grey” medical market. 2015: Legislature passes SB5052, changing the medical cannabis laws in Washington, requiring all medicinal cannabis to be sold through the regulated, adult use system. 2016: All dispensaries in Washington are shut down and patients are instructed to frequent adult-use stores to secure their medications. The problem was very little medically certified product was at the adult use stores and what was there didn’t span the range of medication that the patients were used to. Fast forward to 2018, and there is still very limited medically certified product in the regulated Washington market. So, where is the medical product? 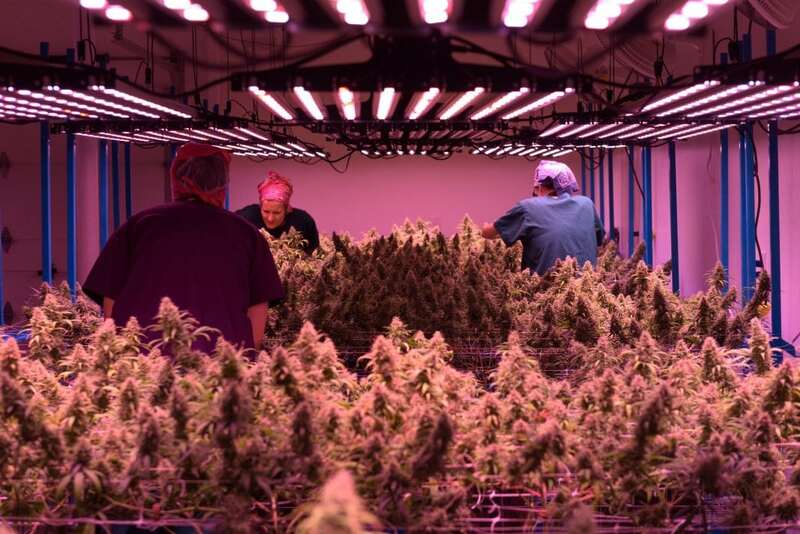 To certify medically compliant cannabis products, it needs to be grown in compliance to the Department of Health’s (DOH) standards which, in Washington, means testing below the pesticide and heavy metal thresholds. Ironically, adult use cannabis has exactly the same pesticide thresholds. The only difference between medically compliant product and adult use product is that certified medical products are tested and adult use product is on the honor system. That’s it. That’s the difference as far as the actual product is concerned. Notice anything? I’m not sure who designed these logos, but they don’t’ say “medical” anywhere on them. You would need to be a policy wonk to know what they mean! I can speculate why the state chose these logos, but instead, I’ll just help educate you so that you can pass it onto your friends and family that this is the symbol they are looking for when searching for medically compliant products. There is not much variance between these products. Anyone can buy “general use” medically compliant product or “high CBD” medically compliant product. Only the “high THC” medically compliant product is reserved for registered patients only. And anything with these symbols on them has been tested by a state-sanctioned lab for heavy metals and pesticides. Now that you have a better understanding of the current Washington State laws, our history and what to look for, how do you know what products to use for what conditions? The Sacred Plant Series: Just watch it. It’s a seven-part online video that is perfect for beginners, and the first video is free which you can watch here. The Center for Mindful Use owns the entire series, so if you want to put a party together and watch it there, I highly recommend it! Emerging Clinical Applications for Cannabis and Cannbinoids: A Review of the Scientific Literature: This is an easy to read book that breaks down different conditions, how cannabis can help and references all the research studies to back up those claims. Tikun Olam: This company out of Israel has been researching the effects of cannabis for decades. Conditions, summaries and links to the studies can be found easily on this site. There is a ton of good information out there about how cannabis can help you or your loved ones. And there are cannabis companies who are trying to do things right, keeping your cannabis pesticide free, medically compliant and affordable for patients. Some products I’ve seen that are certified medically are Trail Blazin’ Productions, Washington Bud Company and Fairwinds. WAM Oil, Heylo and Avitas are also very reputable companies and, while they don’t medically certify their product, I know that they are pesticide testing all the harvests before they turn them into oil. I wish there was an easy answer. Like “take this and this will happen.” But the reality is that you are going to have to take charge of your life and your medical choices. You’re going to have to do the research and work with your health professionals to figure out what’s right for your situation. While there is tons more to learn about this amazing plant, one thing is for certain: cannabis has medicinal properties. Danielle Rosellison is an owner and operating manager of Trail Blazin’ Productions, a cannabis farm in Bellingham. Trail Blazin’ cultivates award winning, pesticide free, sustainably grown with LED’s and a water reclamation system, medically certified legal cannabis. Danielle is also the president of The Cannabis Alliance, a non-profit dedicated to the advancement of a sustainable, ethical and vital cannabis industry, and an Ambassador to the Bellingham Regional Chamber of Commerce. In her spare time (ha! ), she loves to travel, read, ski (or snowboard) and see live music with her kids and her best friend and husband, Juddy. *Required Disclaimer: I am not a doctor. Nothing in this article is to be construed as medical advice. These statements have not been evaluated by the FDA. These products are not intended to diagnose, treat, cure, or prevent any disease.